A very interesting day visit to the Royal Mint in South Wales. On this trip we visit two very different type Factories and their museums in South Wales. Our first stop will the Royal Mint which has opened its doors to the general public where you will enjoy a behind the scenes look at one of Britains oldest manufacturing organisations. Our second visit sees us visit the distillery at Penderyn, the home of the award winning Penderyn Single malt Welsh Whiskey and other high quality spirits. The Royal Mint has been minting our coins for over 1000 years and for over 500 years in the Tower of London. The UKs conversion in 1967 to decimal coinage prompted the building of the new Royal Mint building in South Wales. The guided factory tour brings you into contact with the processes behind the nations coinage and reveal the craftsmanship involved in taking blank pieces of metal from the design stage to being struck as coins. The visitor centre will offer a look into the Royal Mints rich heritage plus the display of its rare and unusual coins and medals from across the world. For an extra payment (Payable on arrival) you may wish to have your photograph surrounded by coins or strike your own coin. There is also a café and a gift shop to enjoy. The Penderyn Distillery has an award-winning Visitor Centre and during the hour-long tour you will learn about the founding of Penderyn, how their award-winning whisky is made and what makes it so unique. See their mill, the mash tun, their innovative single copper-pot Penderyn stills and their latest addition  a pair of pot stills. At the end of your tour sample some of their products in the Tasting Bar. 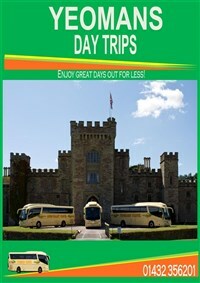 We join our coach and travel into South Wales and our first stop The Royal Mint at Llantrissant. Here we enjoy a guided tour of the building with some time afterwards to visit the shop and cafe. At 13:15/13:30 we depart here and travel through the South Wales Valleys' to the Penderyn Distillery where on arrival we are taken on a guided tour of the Distillery. After a fascinating day out we join our coach for the journey back to your joining point. Estimated time of arrival back into Hereford is 18:00. 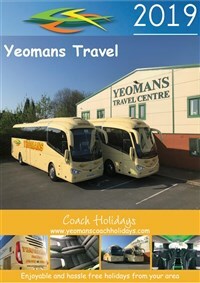 Return Coach Travel to and from your local joining points. A guided tour of part of the Royal Mint building. A guided factory distillery tour. For safety reasons anyone under the age of 16 we are unable to permit entrance to the Distillery, and part of the production area is unsuitable for wheelchair access. Please note all visitors must wear flat, sensible footwear. Also they may require our passengers to show proof of age before entering our production area, sampling their products or making purchases. The Penderyn Distillery is a no smoking premises.